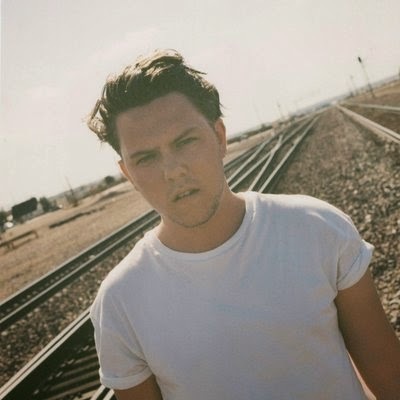 With 2015 just around the corner, there are various names on everyone’s lips as to who is going to make it big in the music world – one of those being indie-pop singer- songwriter Saint Raymond. Hailing from the UK, Saint Raymond’s positive, upbeat anthems have seen praise from critics everywhere and gained him the hottest tour support slots with acts that include Haim and a little well-known guy named Ed Sheeran. After making his first steps into the music world last year with the releases of EPs Young Blood and Escapade, 2014 saw Saint Raymond step up a gear – touring endlessly, hitting as many festivals as he possibly could and releasing track after track that had us dancing through most of the summer months. Each song is like an injection of life. The guitar twangs guide you through the tracks with cheerful melodies, the choruses beg for sing-a-longs and his soulful vocal tone lifts your spirits and spreads a smile far and wide. Just listen to "Brighter Days," "I Want You" and "Young Blood," and you’ll get a warm feeling inside. Saint Raymond has a special kind of English charm that shines through his albums and music videos; one watch of "Everything She Wants" and you’ll be lusting after festival season and late nights at the beach. Things certainly look to be hotting up for Saint Raymond over the coming months, with a new EP out at the end of December and a headline UK tour in the cards for February. It’s only a matter of time before he returns to the US and sweeps you off your feet as well.